I got to meet with my little sister for the first time in months! We decided to go to an Italian restaurant called Noodle Pudding located in Brooklyn Heights. 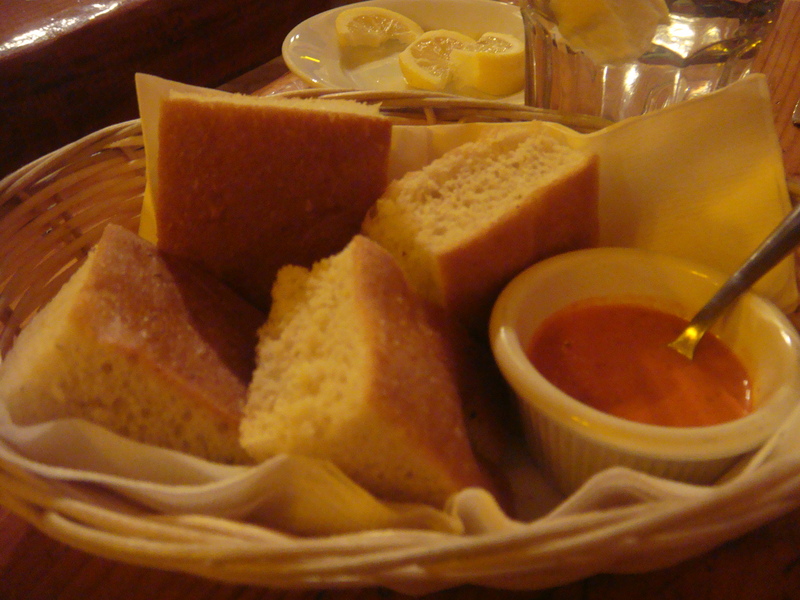 I usually look forward to the bread and the olive oil and I thought their sauce was extremely tasty. My little sister ordered salmon with lentils while I decided to go for the gnocchi and al pomodoro (tomato) sauce (There was also an option to choose butter and sage sauce instead). I personally thought that the tomato sauce in my dish made the gnocchi taste like ravioli straight from the Chef Boyardee can. 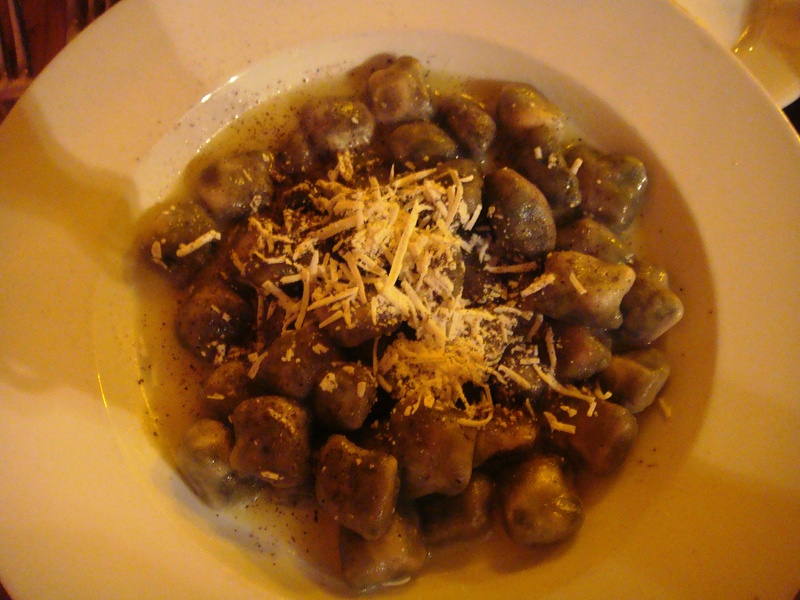 However, the gnocchi itself tasted very homemade and it filled my appetite. My little enjoyed her salmon but thought the black barley was too dry. Overall, it was a descent Italian restaurant. Good price and ambiance. Would stop by again if I lived in the area. My sister and I decided to do something different for dinner so we made lentil soup with winter squash. This recipe is adapted by Kitty Morse and found via NYTimes.com. The only thing I could have done differently was omit cilantro since I’m not a big fan. 1. Combine the lentils, water or stock, onion, garlic cloves and bay leaf in a large soup pot or Dutch oven. Bring to a boil. Rub the saffron between your fingers and add to the pot, along with the turmeric and the cilantro. Reduce the heat, add salt to taste, cover and simmer 30 minutes. 2. Remove the onion and garlic cloves from the pot, and add the remaining ingredients except the parsley. Bring back to a simmer, cover and simmer 30 minutes or until the lentils and vegetables are tender. Discard the cilantro bundle, taste and adjust seasonings. Just before serving, stir in the parsley. 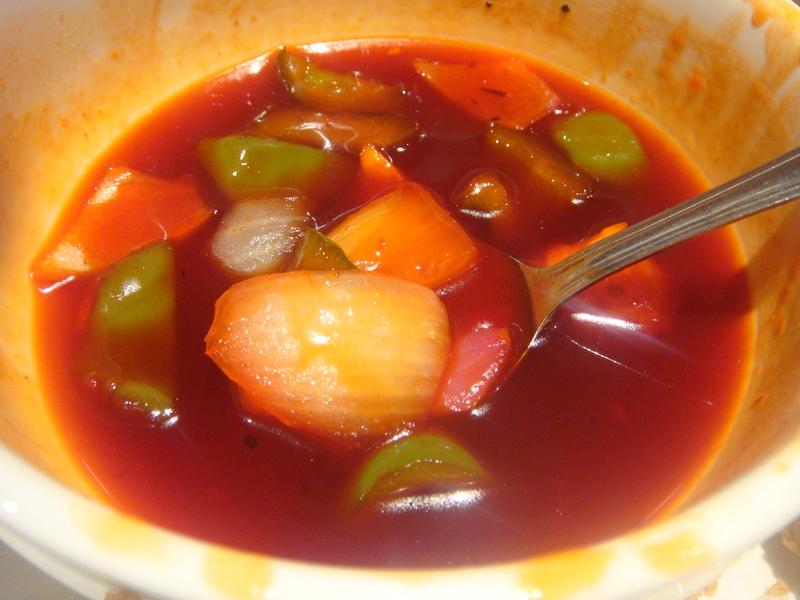 Advance preparation: This will keep for three or four days in the refrigerator. When you reheat it, you may need to add some water. Adjust seasonings accordingly. 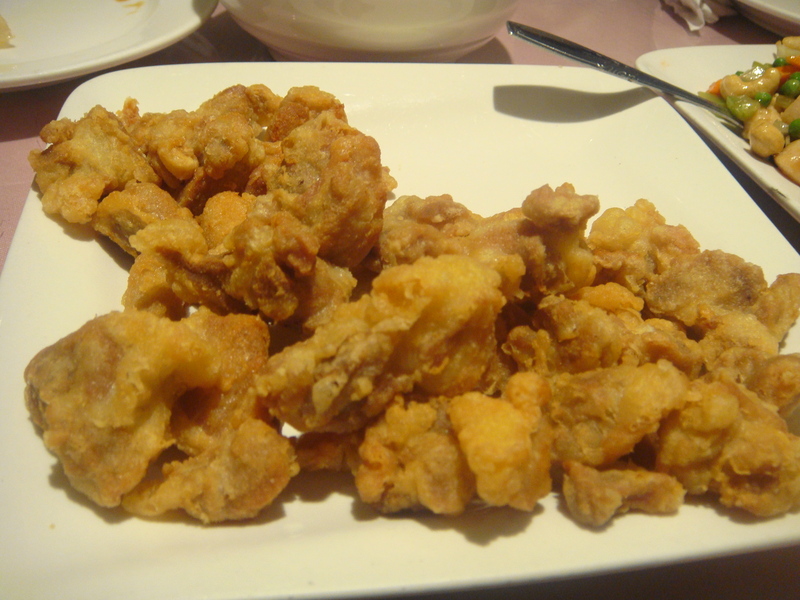 My family and I dined at Pacificana Chinese Restaurant, located in Sunset Park, Brooklyn. My relatives and I usually attend this restaurant every year and I think their food is overrated. The setting is nice- very lavish inside and a pleasant environment. The food looks great but tastes average. The lamb was overcooked, bok choy was bland, and the chicken was too salty. 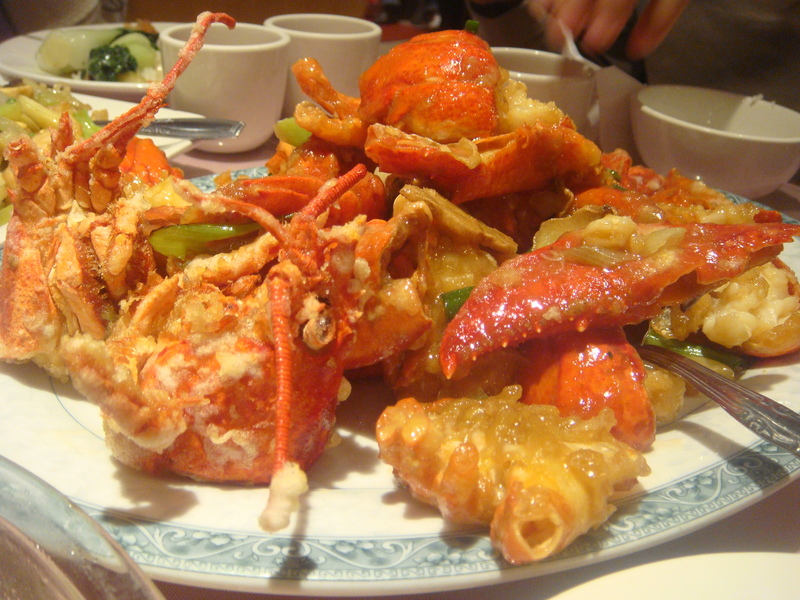 My favorite dish would have to be the lobster. I wouldn’t come here unless I was forced to. Maybe they’re most known for their dim sum which I have yet to try. After craving for some Italian, my friend Gloria and I decided to go to Scottadito Osteria Toscana, which was located in Park Slope. 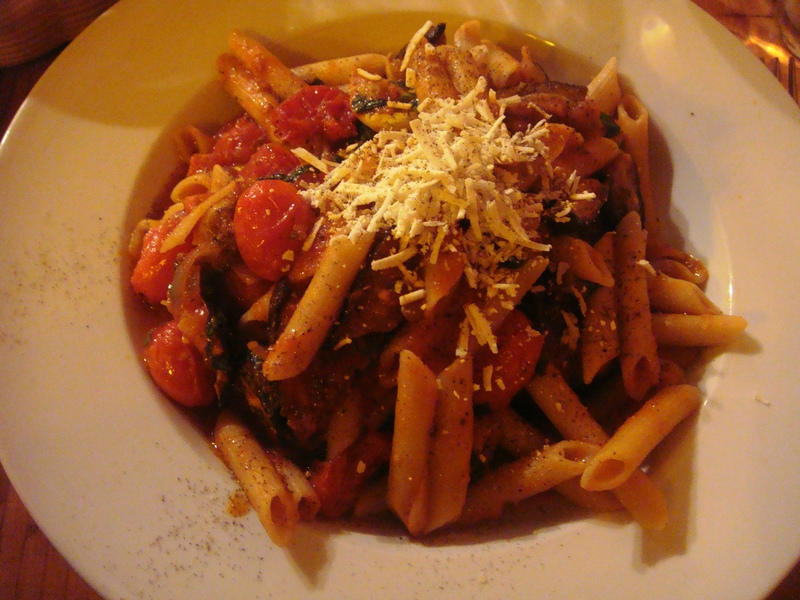 It’s a very cozy Italian restaurant and perfect for dates! Service was quite attentive and the environment was very pleasant. Gloria ordered the handmade spinach gnocci with sage and butter sauce and I ordered a dish of penne with plum tomatoes, zucchini, and eggplant. All the ingredients were organic and fresh. 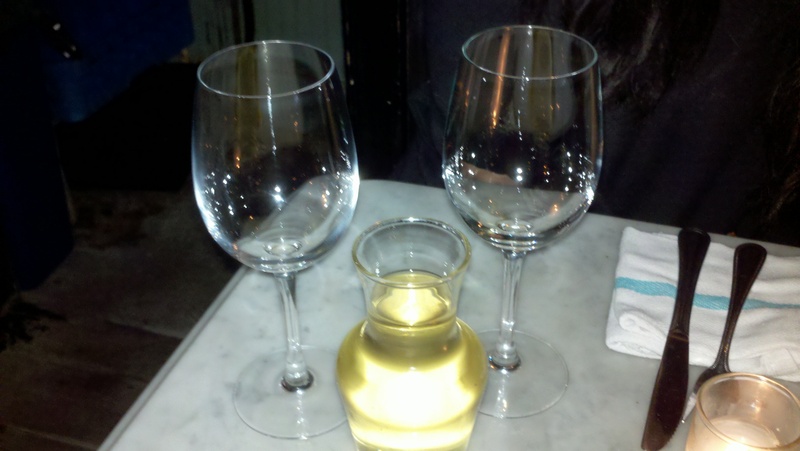 Along with our dishes, we also ordered a couple of glasses of rosé wine (totally forgot the name but it was awesome). I would definitely come back again next time. Perhaps for their brunch special on weekends– unlimited mimosas, champagne, and coffee! Yum. After work, I decided to visit John and as usual, I didn’t have the time to grab lunch or dinner before I went. 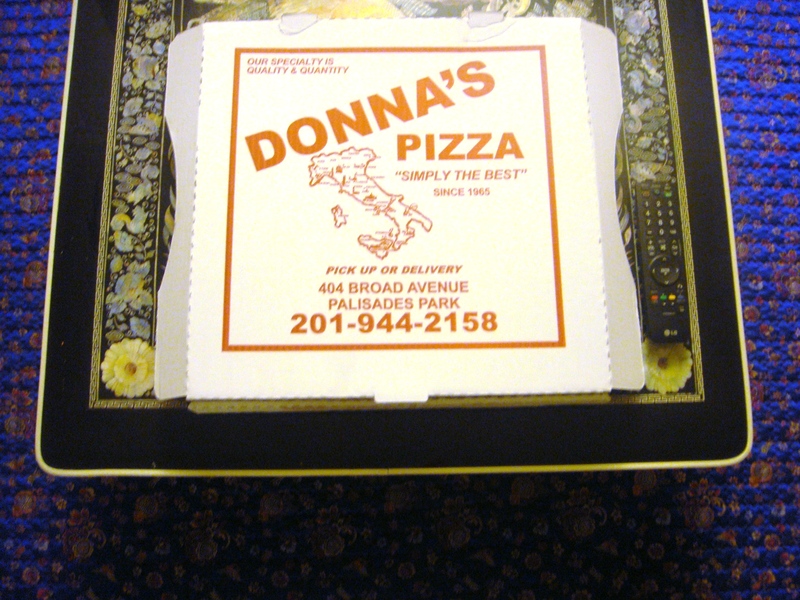 So, there is this neat catering place in his neighborhood and I got two of these items under 10 bucks! 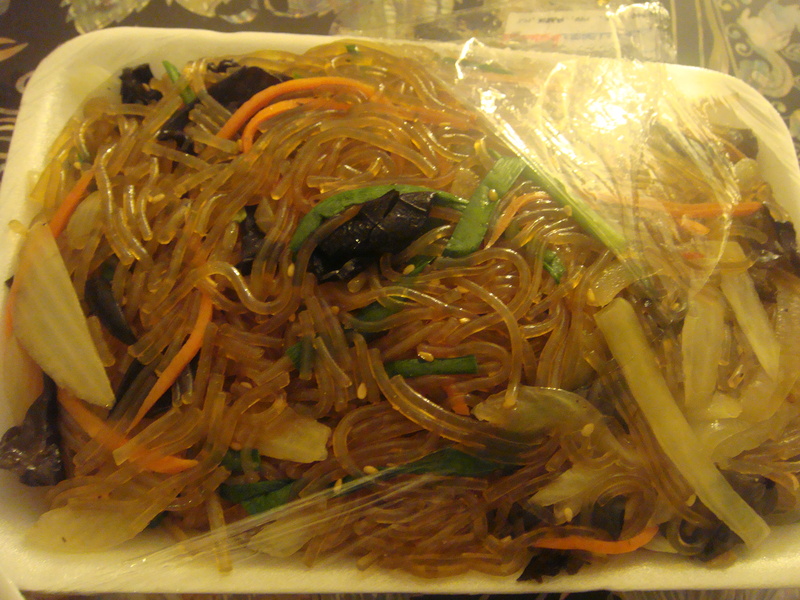 The first one was the spicy bulgogi (Korean dish which consists of marinated beef) and the second one I picked was jap chae (Korean dish made of cellophane noodles). They were both average…I didn’t care; as long as I had food in my stomach. It was more than enough food for me that I had leftovers. 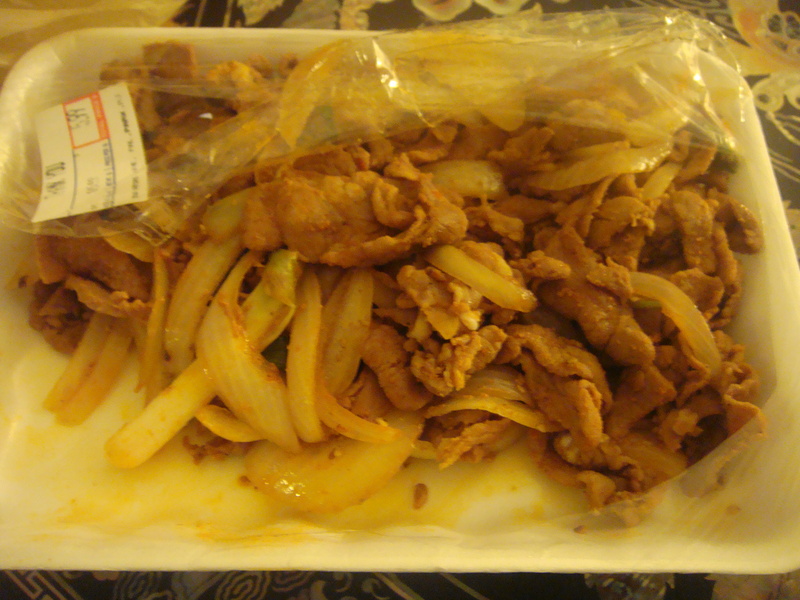 The store had a variety of Korean dishes that were fresh and wrapped on the day of. Always make sure you have cash on you…you never know when you’re going to need it. Well, I highly disagree! The crust was so hard and dry, it was unbearable to eat. 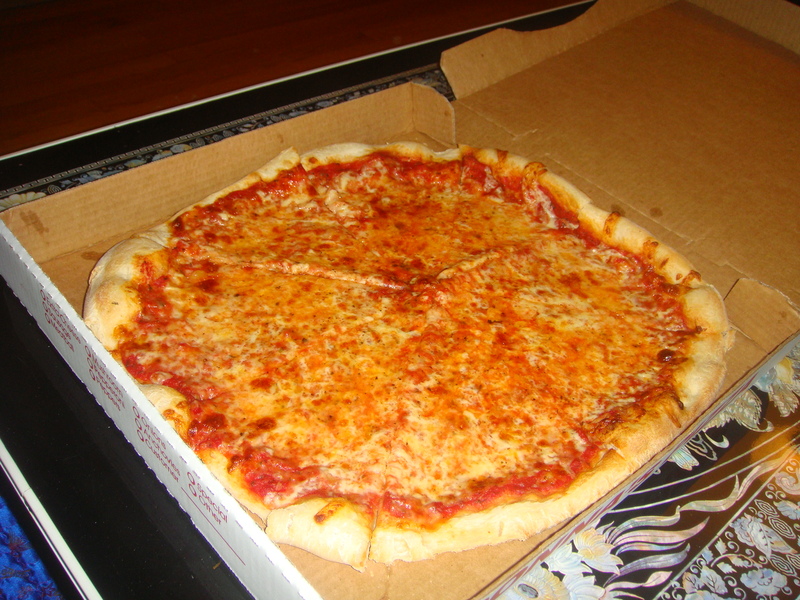 I’m not much of a crust person but I would like to eat the whole darn thing if I’m hungry. I do not recommend unless you are in the area and desperate for anything that’s opened late at night. 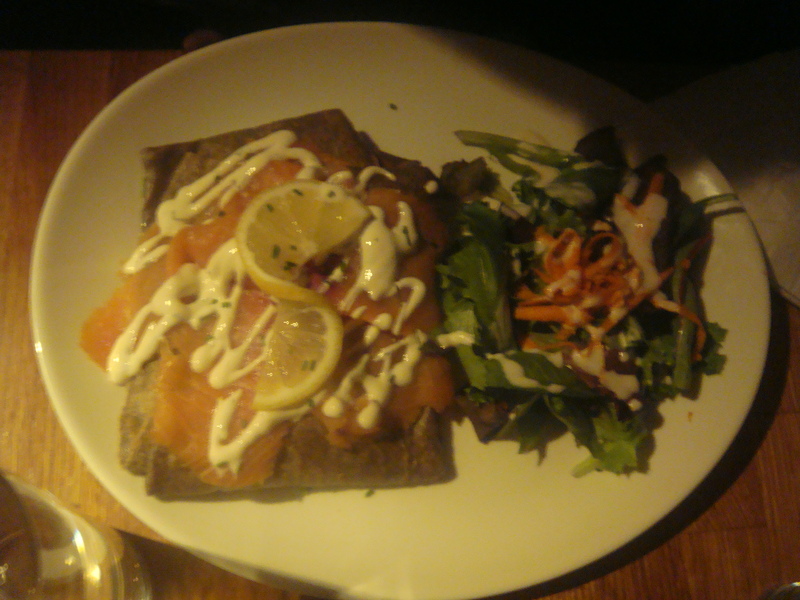 My friend Gloria wanted to try crepes at Crepe du Nord, a French-Scandinavian creperie and winebar, with a couple of her friends for her birthday. It was a very cozy and intimate place located in the financial district. She picked out two things from the menu so that the two of us could share half of each: the vegetarian ratatouille (herbs, spinach, mushrooms, and eggplants), and the brie & fresh pear crepe. Her friends ordered the country herb chicken (ricotta cheese & ratatouille) and the crepes du nord (smoked salmon, scrambled egg, and dill cream). Gloria and I got to try each other’s crepes and they were both quite delicious! 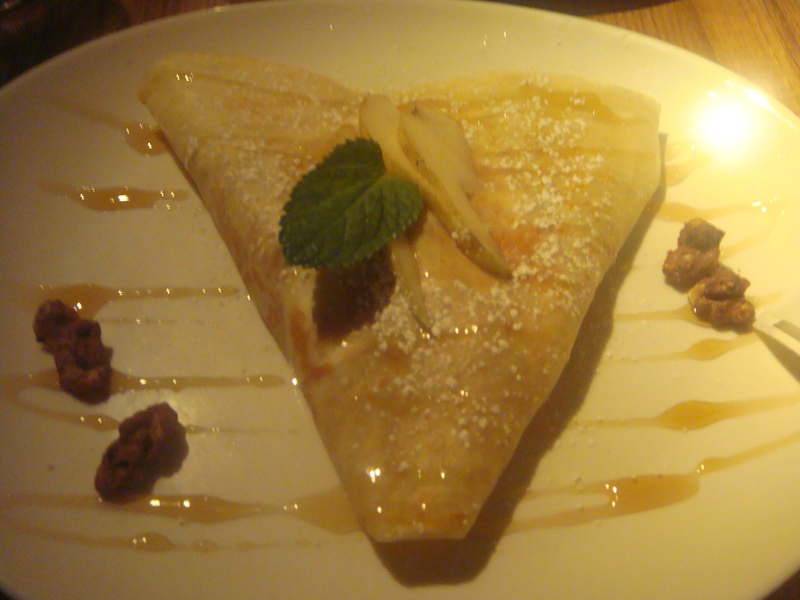 My pear crepe was drizzled with warm honey. Gloria’s vegetarian ratatouille was very succulent and juicy. 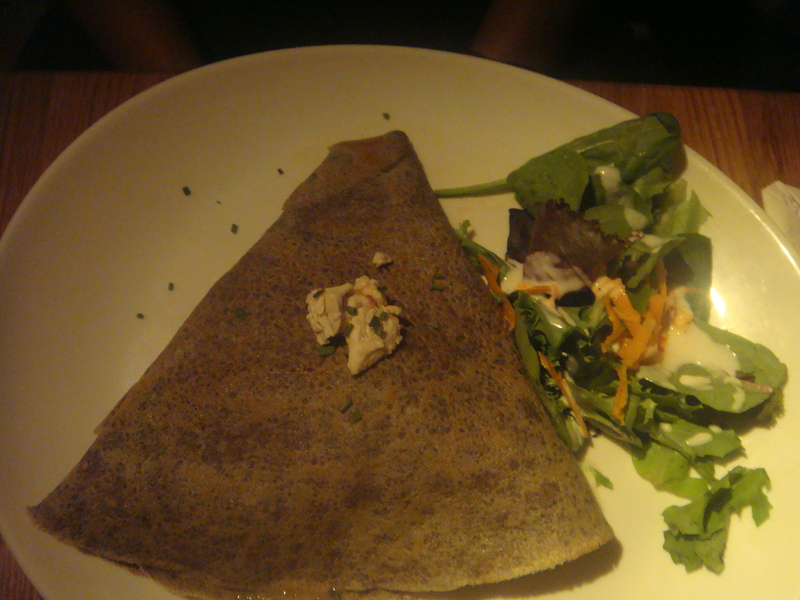 We were very full from it but if you are the type of person to eat a lot, you might want to order an extra crepe. Great place and highly recommended! 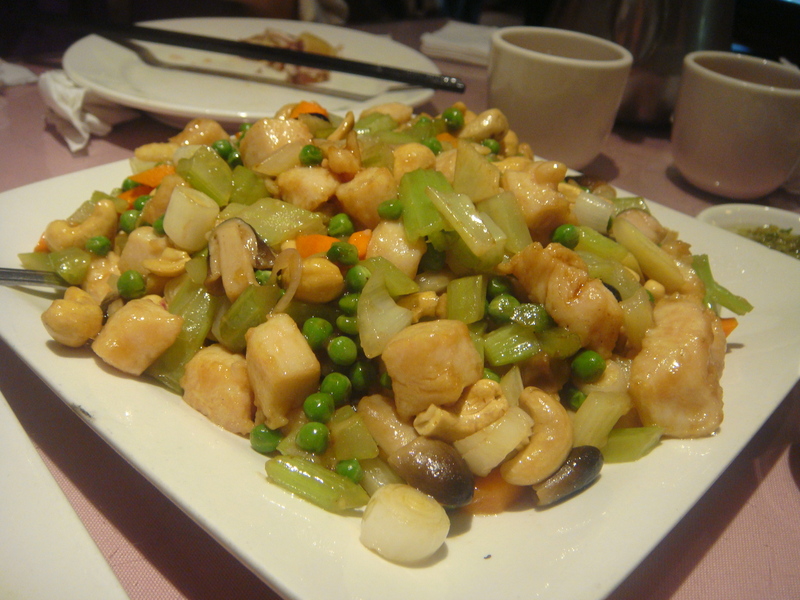 My family and I decided to eat dinner at a Chinese restaurant called 86 Fu Kee Restaurant in Brooklyn. We arrived a little late- around 7pm and it was still crowded. It seems like a pretty popular place but we waited for only a couple of minutes before we were seated. There are also butchers in front of the restaurant chopping up roast pork, chicken, and other meats for customers. It was a bit awkward having people who were waiting to be seated, stare at you while you eat. The restaurant was cramped but the food was good. The dishes were also authentic. 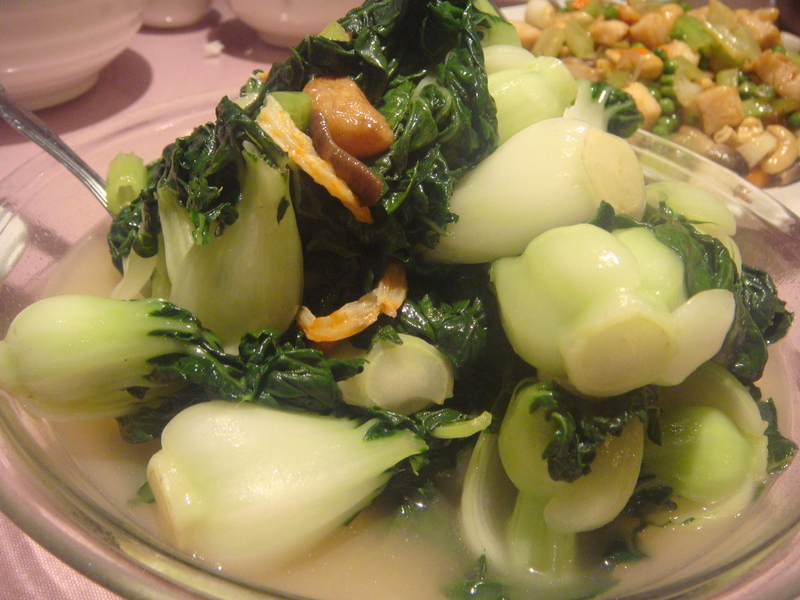 My favorite dish would have to be the luscious bok choy. 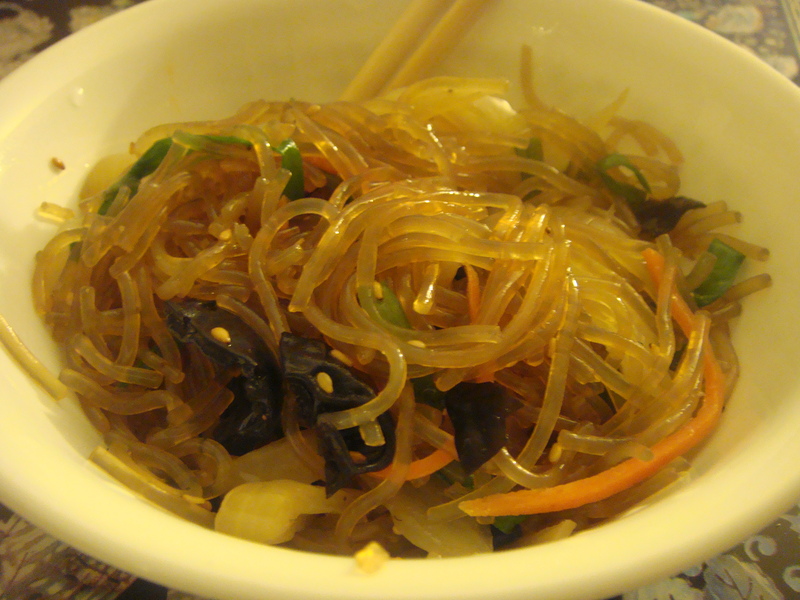 It was a very hearty and healthy dish. 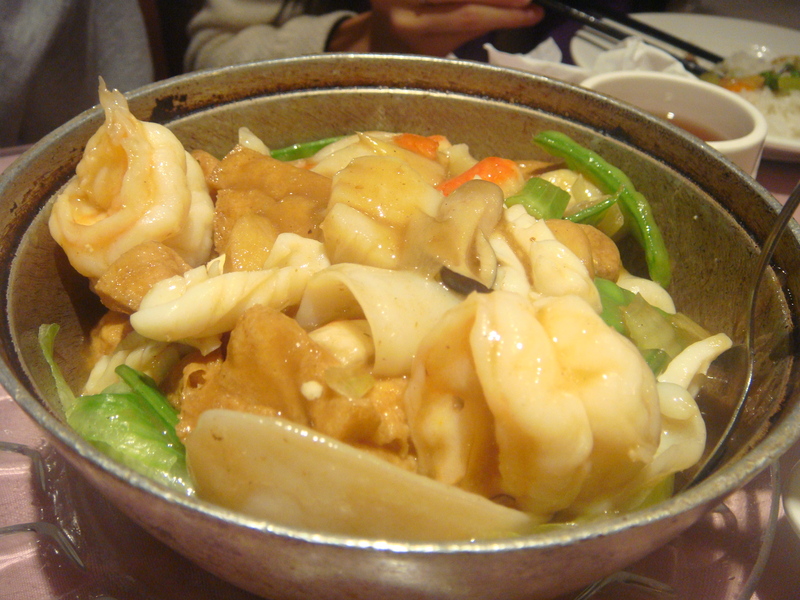 I also enjoyed the bean curd dish with the jumbo shrimp and scallops. One dish I wasn’t too keen on was the fried chicken with the weird sweet and sour sauce (consisted of pineapples and assorted vegetables). It was dry and the sweet and sour sauce tasted like medicine. The portions were very generous. The lobster on the other hand, didn’t have as much meat as I expected. We ordered a lot of food and I was surprised on how quickly it came out. After hearing a lot of good things about Marlow & Sons, which is located south of Williamsburg, Cindy and I decided to check it out. It’s a bit pricey but the food that they serve is locally grown and very fresh. The restaurant is also a bar and they have quite a selection of different kinds of wine and beer. We decided to share everything we ordered. 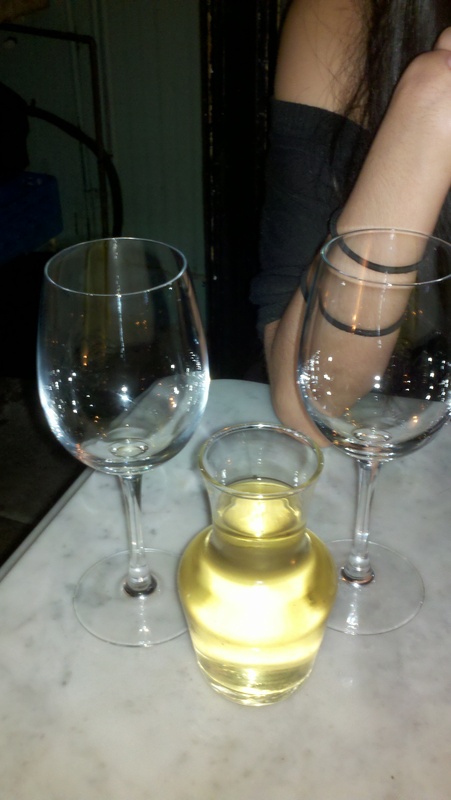 First we started the night off with some white wine (since we ordered chicken and fish). Our first glass of wine was the Francois Cazin 08 and the second glass we ordered mid meal was the Domains de la Pepiere 09. I am no wine expert but the second glass was more suitable to my taste which had a drier finish. For appetizers we ordered 2 different kinds of oysters which were the Blue Point Maine Oysters and the Oysters from Virginia. 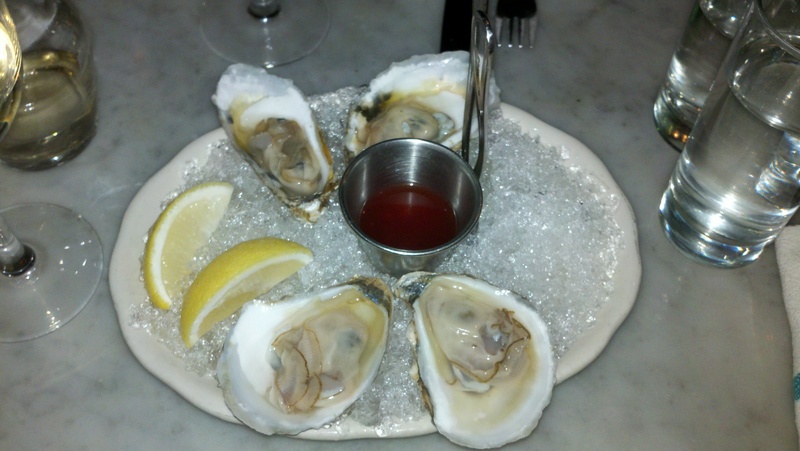 The Maine oysters were much more sweeter and better tasting than the Virginia ones. 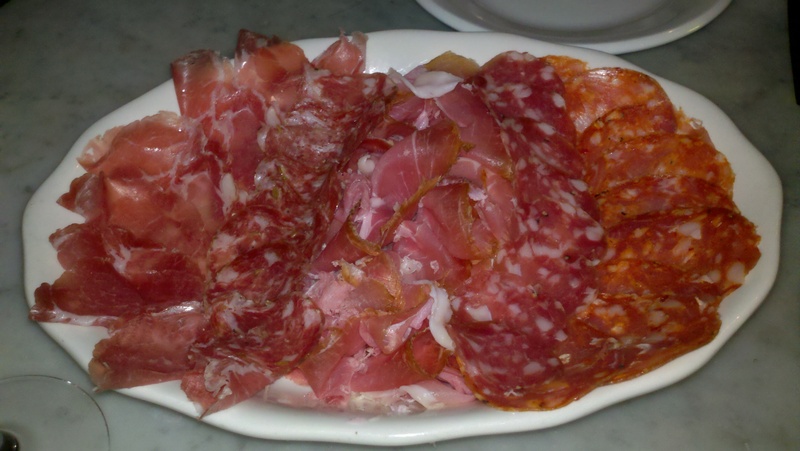 We also ordered the meat plate which came with slices of: Gentile, Soppressata, Coppa, Toscano, and Prosciutto. Although in the picture it looks pretty similar to one another, each of the meats tasted very different and was easily discernible with the first bite. 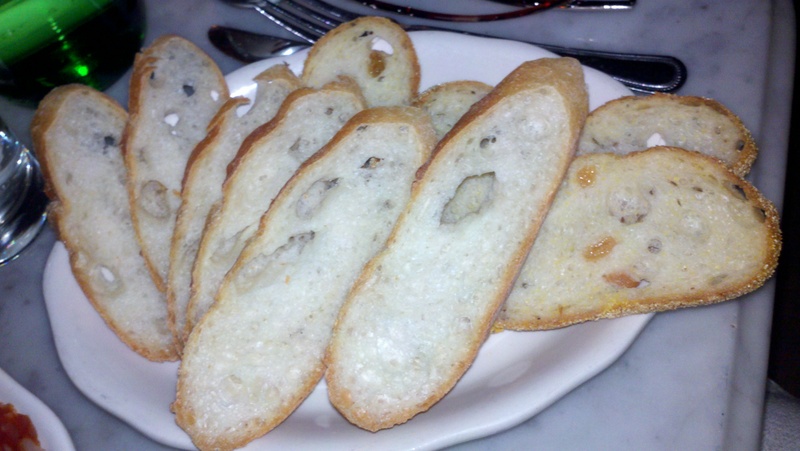 I enjoyed this dish very much which also came with a sliced golden raisin baguette. Highly recommended with a glass of your favorite wine! Our entrees consisted of the brick chicken and the swordfish. 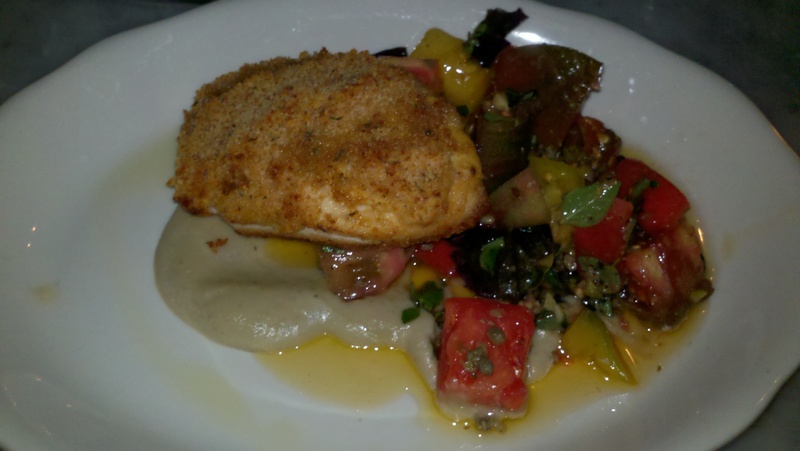 The brick chicken had a crunchy and flavorful exterior and the chicken was cooked very well. 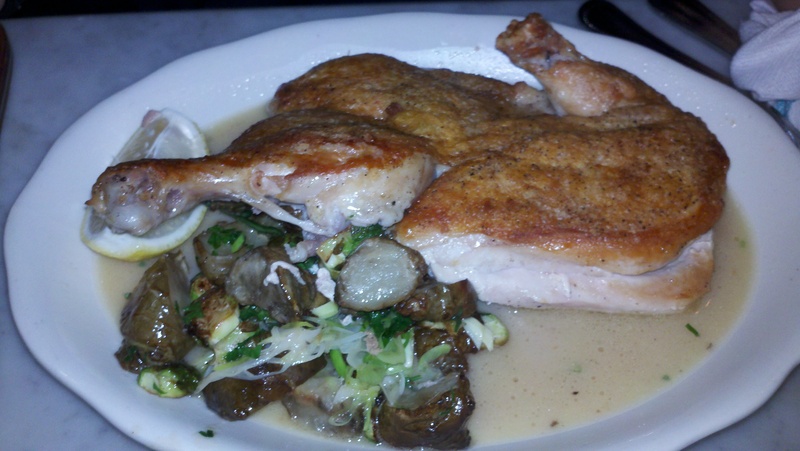 The chicken came with a side of brussel sprouts and crunchy potatoes which Cindy enjoyed very much. The swordfish was incredibly flaky and had a wonderful crust with a dijon mustard based sauce. The acidity of the tomato salad which came as a side balanced out the fish wonderfully. Expect to spend some money to fully enjoy the experience, and don’t worry, it will be worth it. 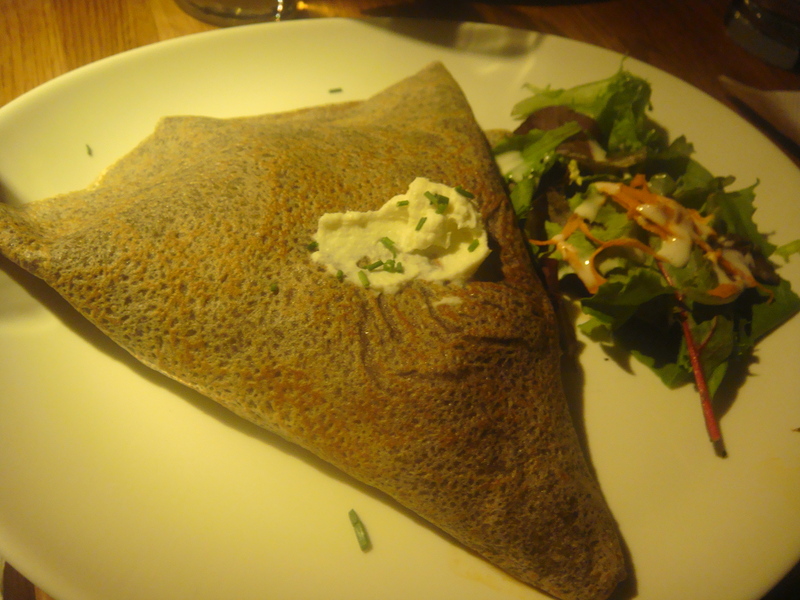 We ate at a French restaurant that specializes in southern French cooking. The restaurant was a very tiny and yet cozy place and featured just 26 seats. Each seat is unlike any other seats in the restaurant which was a fun fact that I noticed while eating. 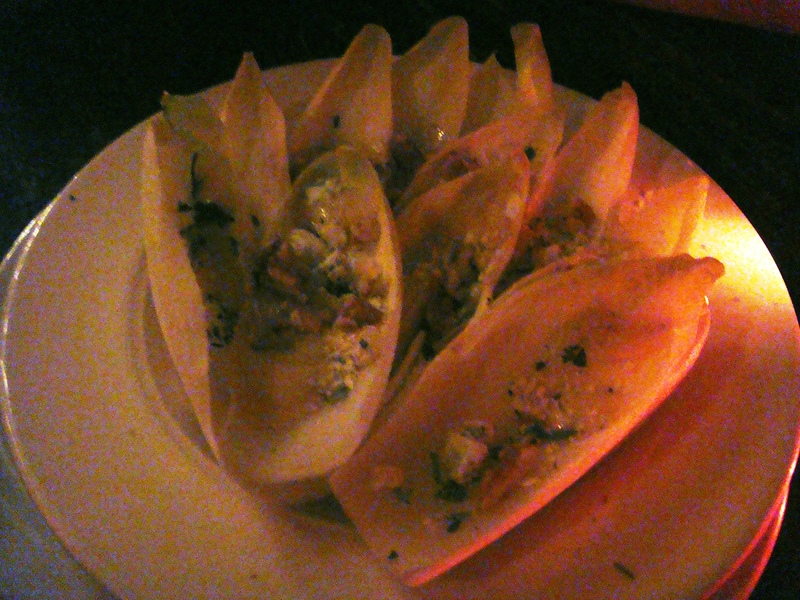 For the appetizer we ordered the Endives Aux Roquefort which was endives topped with blue cheese, walnuts, and mustard dressing. The combination of the savory and the sort of semi-sweet was very nice with the bitterness of the endives. Some of the endives were a bit too raw and bitter but overall, I thought it was pretty enjoyable. 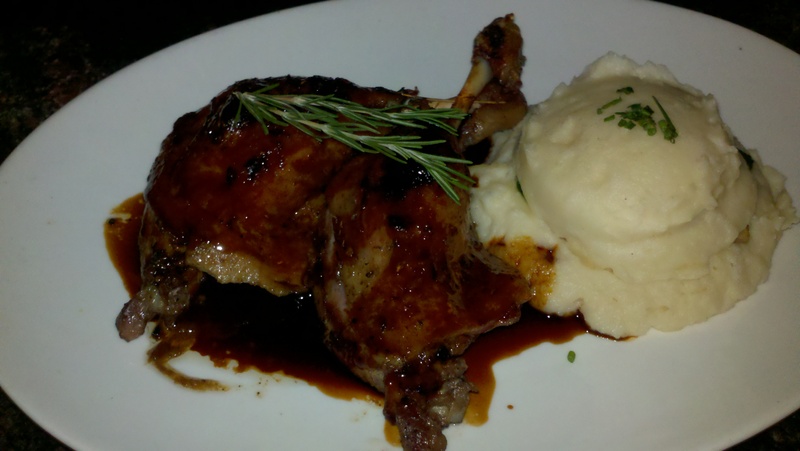 For the entrees, I got the Duck Confit with raspberry reduction and Cindy ordered the Duck Thighs with glaze dressing on it. 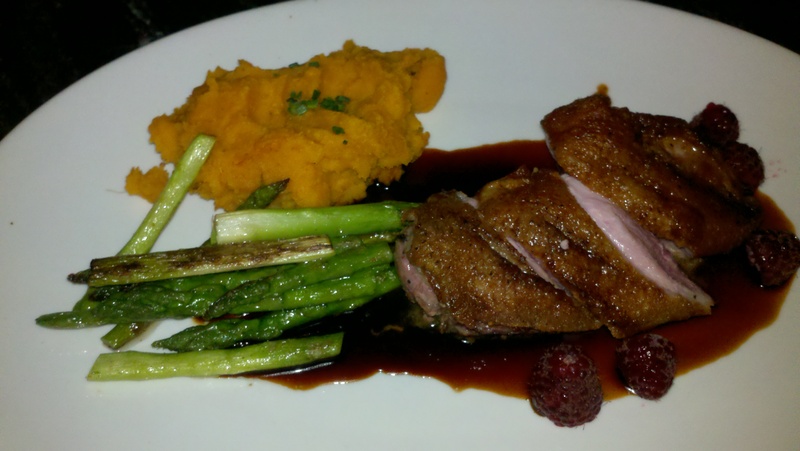 For me, the duck was very succulent and although the raspberry sauce was a bit too fruity on its own, mixed with the duck was very appetizing. Cindy’s dish was very tasty, a bit more tastier than mine. 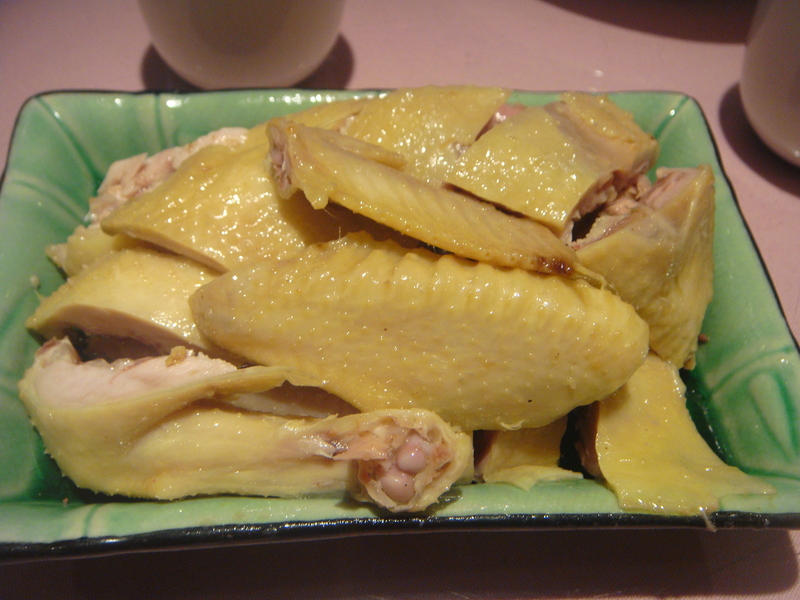 The duck was cooked perfectly and it was not too fatty either because duck can get very fatty and messy if cooked through another method. The Duck Confit came with a side of mashed sweet potatoes and asparagus spears while the Duck Thighs came with a side of mashed potatoes with sautéed spinach and mushrooms. Very happy with my experience at 26 seats.